Why Property Counters Are Declining? After the Urban Redevelopment Authority (URA) released the final 3Q18 private property index data on 26 October 2018, all eyes are on the stock price performance of several property counters, including the bulge bracket names like CapitaLand, City Developments (CityDev), and UOL Group (UOL). For the 3Q18, the PPI showed a 0.5 percent rise quarter-on-quarter (QoQ), one of the slowest paces of rise this year. The index had a 3.9 per cent rise in 1Q18, and a 3.4 percent rise in 2Q18. Final new home sales figures showed 3,012 private residential units sold in the third quarter, compared to 2,366 in 2Q18. The increase in new sales could be attributed to last minute panic buying before the implementation of the new cooling measures. However, despite that, the overall picture for real estate stock prices remains grim. This is reflected in the FTSE ST Real Estate Holding and Development Index (FTSE ST REHDI) (shown in the next chart) which has been on a downtrend for the past one year. While many investors might think that the bulk of many real estate stock prices were negatively impacted by the onslaught of the tighter property buying restrictions implemented on 6 July 2018, this might not be truly reflective as the FTSE ST REHDI chart has actually showed that the negative performance began as early as February 2018. Incidentally, even if we excluded the seasonal impacts from the Chinese New Year festivities where home sales are traditionally at the lower end, the FTSE ST REHDI never fully recovered, and was consolidating around the index range 860 to 902 before a significant decline in May. Subsequently, the index continued to suffer bouts of selling to a point of a “depressed” level as shown in the FTSE ST REHDI chart. The 3Q Real Estate Sentiment Index (RESI) also reflected the phenomenon, registering declines in both the Current Sentiment Index, and the Future Sentiment Index. 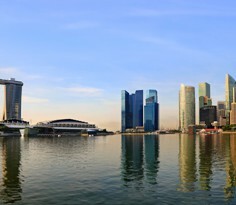 The RESI is an index jointly produced by the National University of Singapore (NUS) Department of Real Estate and the Real Estate Developers’ Association (REDAS), and assesses the perceptions and expectations of real estate development and market conditions. The Current Sentiment Index fell to 4.0 in 3Q18 from 6.7 in 2Q18, while the Future Sentiment Index sank to 4.2 in 3Q18 from 6.4 in 2Q18. A majority of the survey respondents cited the “unexpected and surprising” cooling measures which were “extremely disruptive” and have dampened sentiments in the residential market. On 18 October 2018, the government announced stricter guidelines to curb the further growth of “shoebox units” island wide. Under the revised guidelines, the maximum number of dwelling units per development will be calculated by a proposed building’s gross floor area divided by 85 square meters (sqm), versus 70 sqm under the current rules. Moreover, nine areas will face tougher requirements where the gross floor area (GFA) will be divided by 100 sqm. These areas include Marine Parade, Joo Chiat-Mountbatten, Telok Kurau-Jalan Eunos, Balestier, Stevens-Chancery, Pasir Panjang, Kovan-How Sun, Shelford and Loyang. The new guidelines will take effect from 17 January 2019. 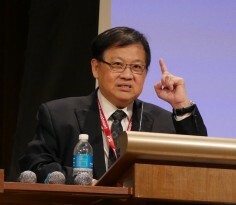 The market reaction on 19 October was swift and stock prices of several major property counters fell on concerns that profit margins will be negatively impacted by the new rules as the developers will probably suffer from compressing margins as smaller units have allowed developers to extract maximum dollars on a per square feet basis. On 19 October 2018, CapitaLand’s stock price fell to a low of $3.06, but closed unchanged at S$3.11. Other STI component property counters, including City Developments and UOL, saw their stock prices falling to a low of $8.19 and $6.18 respectively before recovering slightly. Many analysts, including those from DBS Vickers Securities noted that these latest guidelines have resulted in setbacks in demand, and will likely be the “Final nail in the coffin for the enbloc market”. Developers’ share prices are expected to remain under pressure in the immediate term. Analysts also noted that developers’ price-to-net asset value (P/NAV) multiples have fallen below the historical five-year range by one standard deviation. They think that the developers’ stocks could test trough levels, which imply a near-term downside of up to 10 percent. In the short to intermediate term, investors might think that the local real estate market will be doomed to go down further. 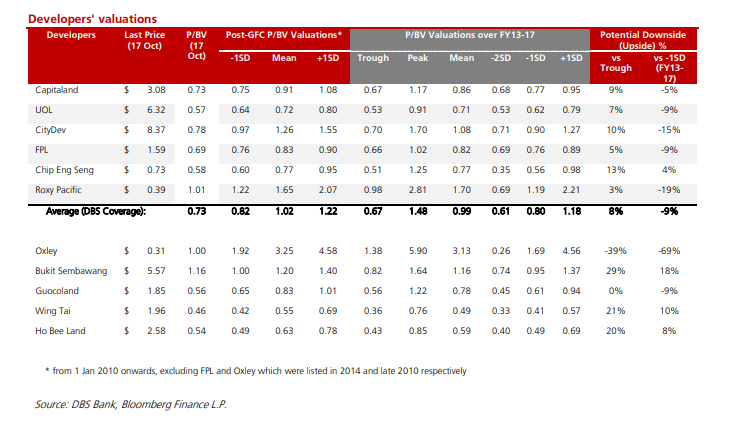 However, we do not subscribe to this view, as the industry valuations are already going at P/NAV of 0.73 times. 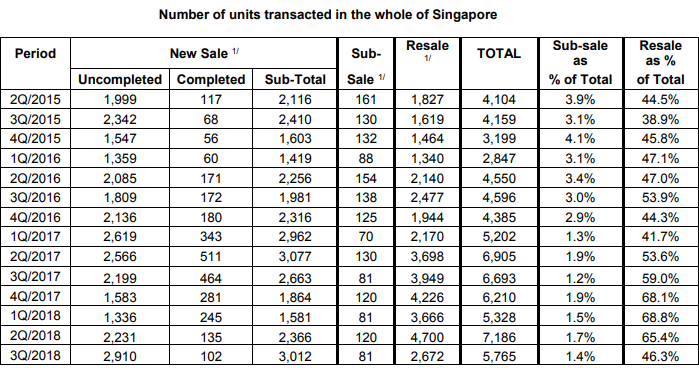 Moreover, some of these developers have lowered their exposure in Singapore such as CapitaLand which has a majority of properties located overseas in Mainland China, and Vietnam. Meanwhile, CityDev and Oxley have also publicly disclosed that the new requirements would not negatively affect their ongoing or future launches this year as planning permissions have already been obtained. However, over the long-term, future project proposals submitted on or after 17 January 2019 will face the new development guidelines. Therefore, the full-blown impacts to developers’ profit margins will be significant from 2019 onwards.